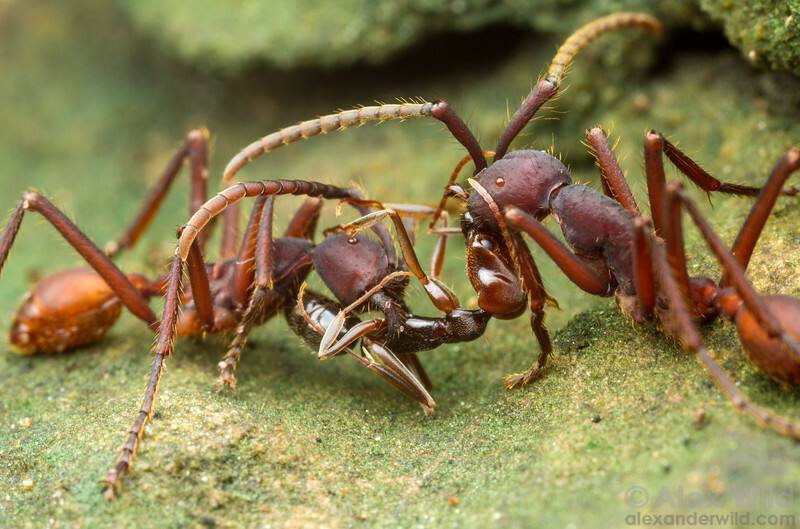 Most army ant species are specialized predators of other ants. Eciton vagans prefers ponerines; true to form, here two Eciton workers attack an Odontomachus trap-jaw ant. Armenia, Cayo District, Belize.